Tanah Lot is a rock formation off the Indonesian island of Bali. It is home to the pilgrimage temple Pura Tanah Lot , a popular tourist and cultural icon for photography and general exoticism. Tanah Lot means "Land Sea" in the Balinese language. 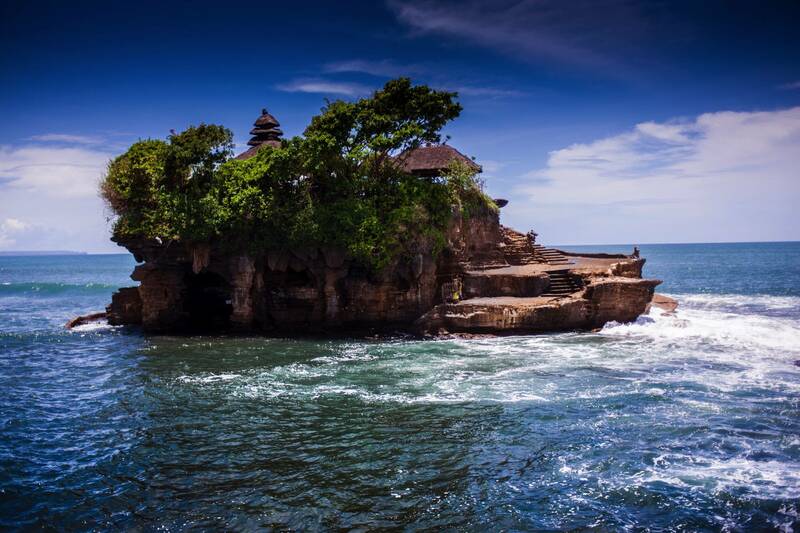 Located in Tabanan, about 20 kilometres (12 mi) from Denpasar, the temple sits on a large offshore rock which has been shaped continuously over the years by the ocean tide. In 1980, the temple's rock face was starting to crumble and the area around and inside the temple started to become dangerous. 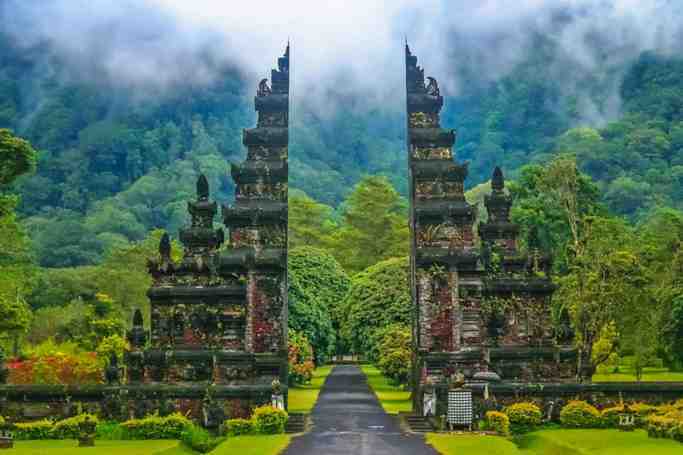 The Japanese government then provided a loan to the Indonesian government of Rp 800 billion (approximately US$130 million) to conserve the historic temple and other significant locations around Bali. As a result, over one third of Tanah Lot's "rock" is actually cleverly disguised artificial rock created during the Japanese-funded and supervised renovation and stabilization program. 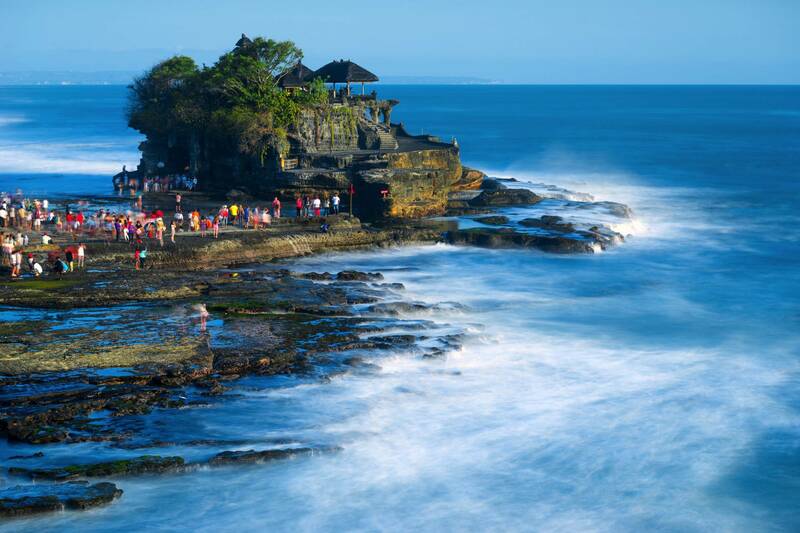 Tanah Lot | eTips Inc.